APPSC Group 1 Main Results 2017: The list of candidates provisionally qualified for Oral Test (Interview) for Group-I Services Recruitment, Notification No: 36/2016, dated 30.12.2016 on the basis of Main examination (conventional Type) held from 17.08.2017 to 28.08.2017 is published in the Web-site of the Commission psc.ap.gov.in and also displayed in the Commission’s Notice Board. The verification of Original certificates and interviews will be held from 12/03/2018 to 23/03/2018. Further details may be checked Commission’s website. It is hereby notified that on the basis of the Main (Written) Examination held from 17/08/2017 to 28/08/2017 FN at Visakhapatnam, Vijayawada, Tirupathi and Ananthapuramu for Group-I Services (General) Recruitment vide Notification No: 36/2016 dated. 30.12.2016; the candidates with the following Registered Numbers have been provisionally admitted for the ORAL TEST (Interview) in terms and conditions of Notification No.36/2016 which will be held from 12/03/2018 to 23/03/2018, in the Office of the Commission, at New HOD’S Building, 2nd Floor, M.G. Road, Opp. Indira Gandhi Municipal Complex, Vijayawada, Andhra Pradesh-520010. The candidate wise schedule of Oral Test (interview) will be placed in the website of the Commission shortly. Individual call letters will be sent to candidates in within few days. A copy of this result can also be seen on the Website: www.psc.ap.gov.in and also in the Notice Board of the Commission. 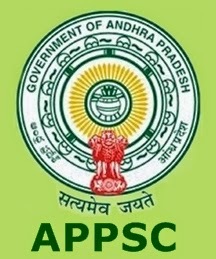 The candidates who are qualified for ORAL TEST (Interview) are required to produce the original Certificates at the time of verification of documents on the same day of interview, relating to Age, proof of age relaxation Qualifications, Study certificate, Integrated Community certificate in case reserved candidates, certificate of exclusion from Creamy layer in case of B.Cs from Revenue authorities in terms of G.O. Ms. No.3, Backward Classes Welfare (C-2) Department, dt.04/04/2006, P.H. certificate in case of disabled candidates, etc., failing which, they will not be treated as eligible with reference to the particulars furnished by him/her in the Online application form / Certificates. The candidature of such candidate(s) shall be cancelled at any stage in the process of selection. The Commission has the right to disqualify any candidate, if he/she is not found eligible for any reason. In respect of posts of Deputy Superintendent of Police (Cat-2), Assistant Prohibition & Excise Superintendent in A.P. Prohibition & Excise Service, (P.C.No’s.04 & 05) the candidates have to undergo a Medical Examination for physical fitness before the competent Medical Board at Vishakhapatnam and also all the Disabled candidates have to undergo Medical Examination at respective Medical Boards.